Posted October 31, 2018 by SCS Gearbox & filed under Monster Trucks. What are some signs you have a desirable monster truck? In America, bigger is better. So if you need a ladder to get into your truck, it’s cool! Meanwhile, if you’re driving down the road and little kids look up with wide-eyed wonder, smile, and ask you to honk the horn, it’s definitely desirable. Having a great monster truck is like having a one vehicle parade– attracting the attention of everybody on the road as you pass them by. They’ll smile, they’ll wave, and they’ll take pictures! What Can You Drive Over? 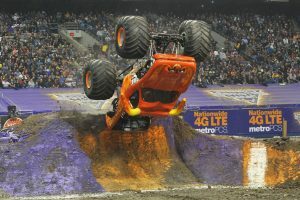 One of the fun things monster trucks can and should do, when and where appropriate, is show their might by driving over smaller vehicles like MINI Coopers or “smart cars.” This shows their power and size and their ability to conquer obstacles that get in their way. By the way, if you park your monster truck next to a HUMMER, and it makes the HUMMER look “small and cute,” then you’ve got yourself a desirable monster truck. Monster trucks are an attraction to all those who encounter them– you can’t help but notice them! And when they do stunts? Forget about it! They’re extraordinary in a world of ordinary. SCS Gearbox helps people who build and/or modify monster trucks. 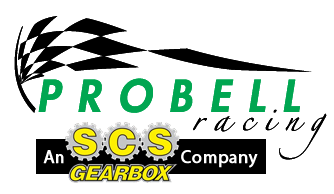 As a supplier of internal components for monster trucks, SCS Gearbox is known for offering heavy duty transmissions, quick change gears, gearboxes and more. Got questions? Call us at 419-483-7278.